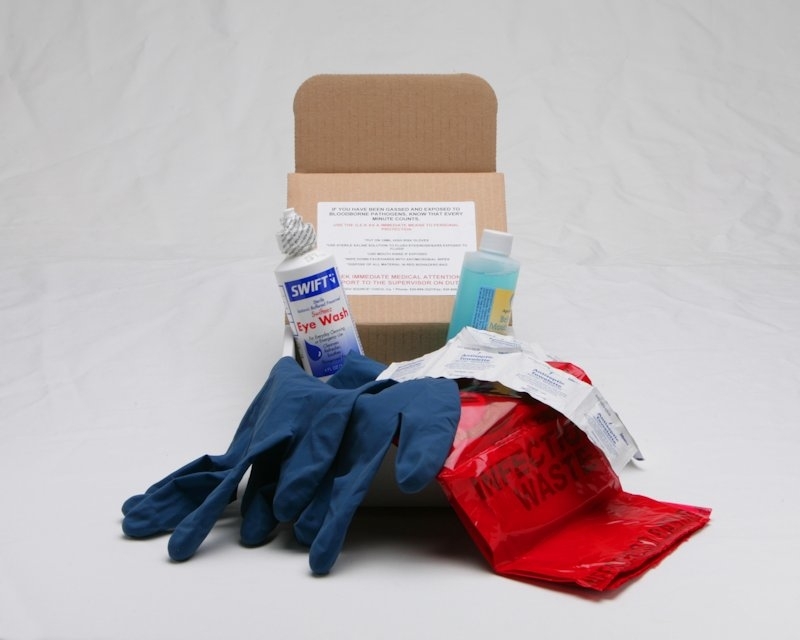 Personal Protection Kit •	Meets OSHA PPE Requirements •	FREE Shipping on all orders over $100 within the U.S! When exposed to potentially infectious material the G.E.K. provides an immediate means for clean-up when medical care is not readily available.